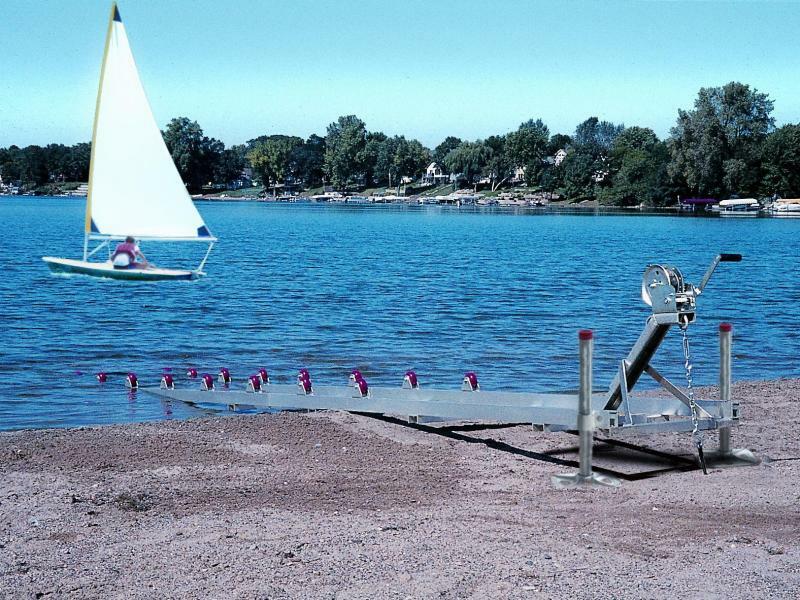 Picture on left shows the Roll-n-Go 1200 roller ramp shore dock with Optional Supports. Now you can easily and inexpensively dock and secure your fishing boat, daysailer or other lightweight boat out of the water, right on your shoreline. 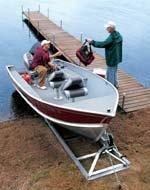 This versatile, adjustable roller ramp shore dock can be used for small watercraft up to 1200 lbs. Includes 16 polyurethane "donut" style rollers, which mount anywhere along the rails. The 1200 roller ramp includes a ground anchoring kit and a standard 1700-lb. winch with 25' strap. To use, simply pull your boat up to the Roll-n-Go shore dock, hook on the strap and crank it up to easily get off the water in just seconds. 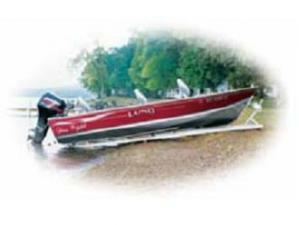 Rail width adjusts from 24" to 40" to fit most small boats. At just 130 lbs the Roll-n-Go roller ramp shore dock can be readily disassembled into sections for easy storage over the winter. MAX. WEIGHT CAPACITY 1,200 lbs. OVERALL WIDTH Adjustable 24"- 40"
RAIL WIDTH Adjustable 24"- 40"